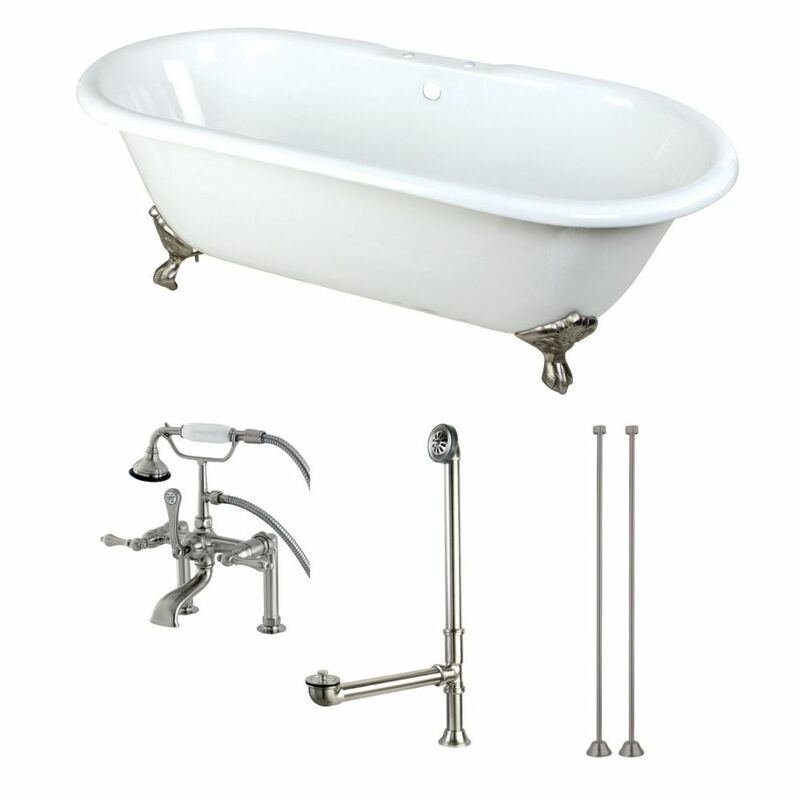 This Classic 66 inch cast iron claw foot tub adds a vintage touch to your home bathroom. The double ended design allows either end to be used. With timeless styling and ornate tub feet, this tub will provide warmth and durability because of its cast iron construction. Combo set includes tub, faucet, drain and supply lines. Classic Double Ended 5.5 ft. Cast Iron Clawfoot Bathtub in White and Faucet Combo in Satin Nickel This Classic 66 inch cast iron claw foot tub adds a vintage touch to your home bathroom. The double ended design allows either end to be used. With timeless styling and ornate tub feet, this tub will provide warmth and durability because of its cast iron construction. Combo set includes tub, faucet, drain and supply lines.